Maintains data integrity and original formatting. Customized Multiple Naming Convention for Resultant file. The Outlook to Mozilla Thunderbird Tool performs the Migration in 6+ different Format apart from Microsoft Outlook to Mozilla Thunderbird. Does this software easily export Outlook files to other desktop-based mail clients like Thunderbird? Will this Outlook to Thunderbird Migration Tool maintain the original formatting of emails after migration? Is it feasible to export attachments along with the emails while we migrate MS Outlook to Mozilla Thunderbird? Is it possible to export all the folders like drafts, sent, etc. of Microsoft Outlook email while migration? Does this software impose any file size limitation during the migration from Outlook to Mozilla Thunderbird? How much time does the software require to complete the migration process? According to the study, it has been found that users often find it difficult to migrate from one email client to another. Therefore, it is best advised to go for a trusted software like Outlook to Thunderbird Migration Tool to perform the data migration. This tool will not only export Outlook Files to Mozilla Thunderbird in a reliable way but will also store the folders in a proper hierarchical order. Its advanced features have over time, attracted a vast number of users. It also maintains the emails in their original format after migration from Outlook to Thunderbird, i.e. preserves the original formatting, attachments and all other folders of emails. Moreover, there is no file size restriction while users export Outlook to Thunderbird and data loss is never an issue with this Outlook to Thunderbird Migration Tool. When I Export Microsoft Outlook to Mozilla Thunderbird, is there any requirement to install MS Outlook for its working? No, proper installation and configuration of MS Outlook is required to move Outlook to Mozilla Thunderbird. Can this migration tool migrate outlook files of ANSI Format? Yes, this tool supports both Outlook PST, i.e. ANSI as well as UNICODE file format. Is it possible to migrate attachment files along with the emails while we transfer Outlook to Mozilla Thunderbird? Yes, the utility converts all the emails along with its attachments in exact form. Does the software requires Thunderbird installation on the machine to perform migration? No, the application does not need Thunderbird on the machine to perform migration. Earlier I found it a very tedious task to perform data migration. However, after I have used the software I must say, transfer of Microsoft Outlook to Mozilla Thunderbird became extremely easy. This software works for every type of user. It is a superb tool from my side! With changing time, there are varieties of email clients that are required at workplace. Thanks to this Outlook to Thunderbird Migration Tool data conversion has become invariably simple. Even a non-technical user like me can migrate Outlook to Thunderbird in few minutes. As a matter of fact, Microsoft Outlook stores data in PST file format but if the data size exceeds the limit then, it might result in corruption of data. Therefore, it becomes an imperative need for the users to transfer Outlook to Thunderbird. 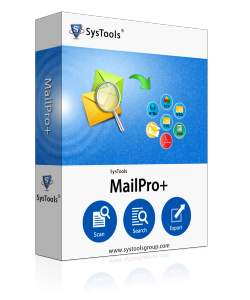 This Microsoft Outlook to Mozilla Thunderbird tool is built in such a way that data conversion has become simple and easy to perform.